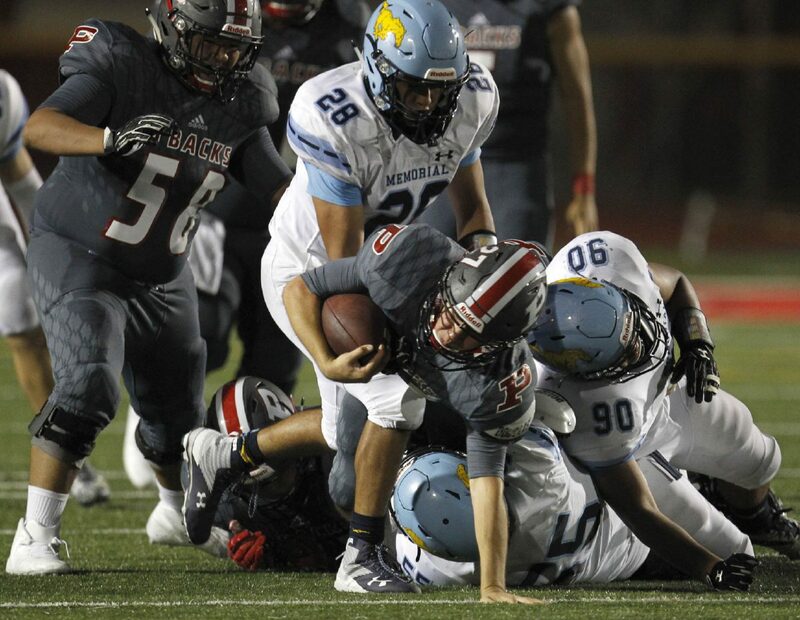 MISSION — The Sharyland Pioneer Diamondbacks kept it close through halftime, but the McAllen Memorial Mustangs wore down the opposing defense by doing what they do best: pounding the ball on the ground. 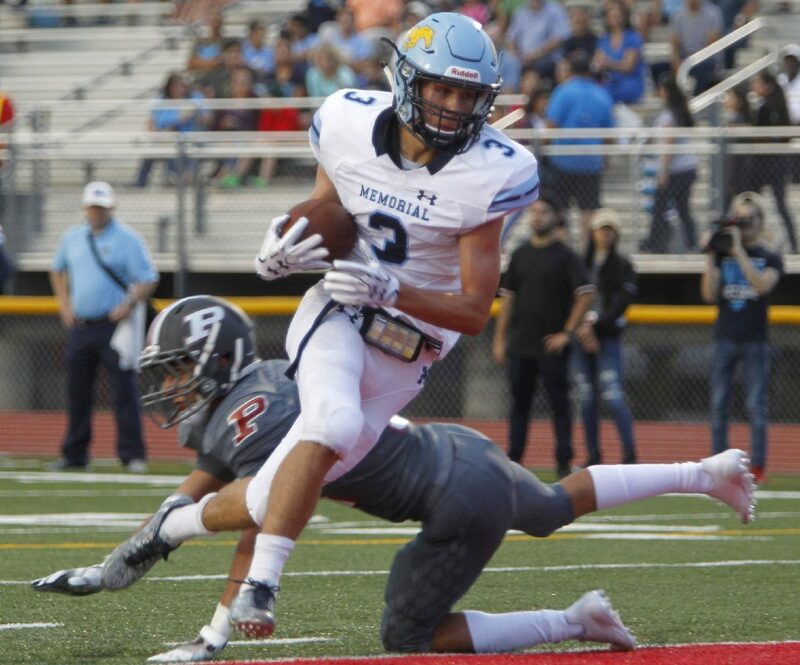 Memorial defeated Pioneer 41-24 in The Monitor’s Game of the Week on Friday night at Richard Thompson Stadium. 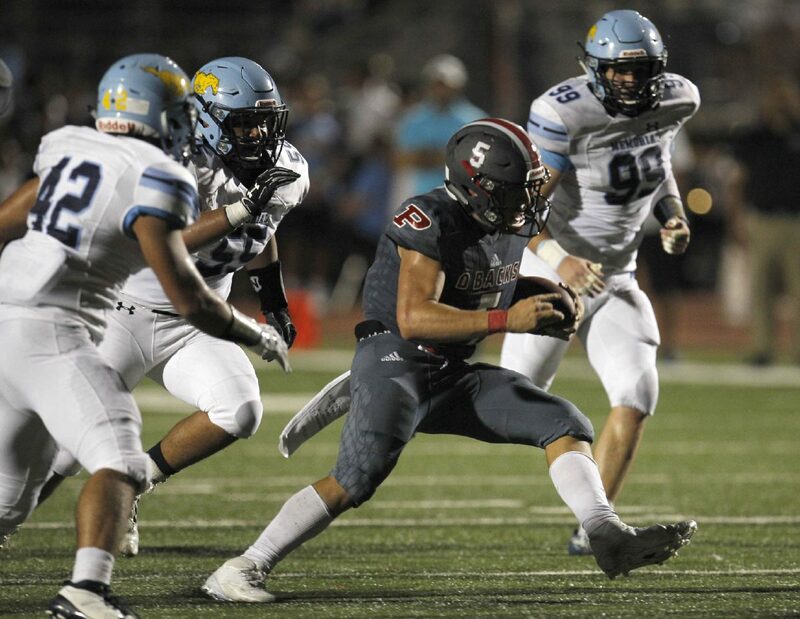 Sophomore running back Campbell Speights was stymied by the Pioneer defense during the first 24 minutes, after which Memorial’s lead was just 20-17. 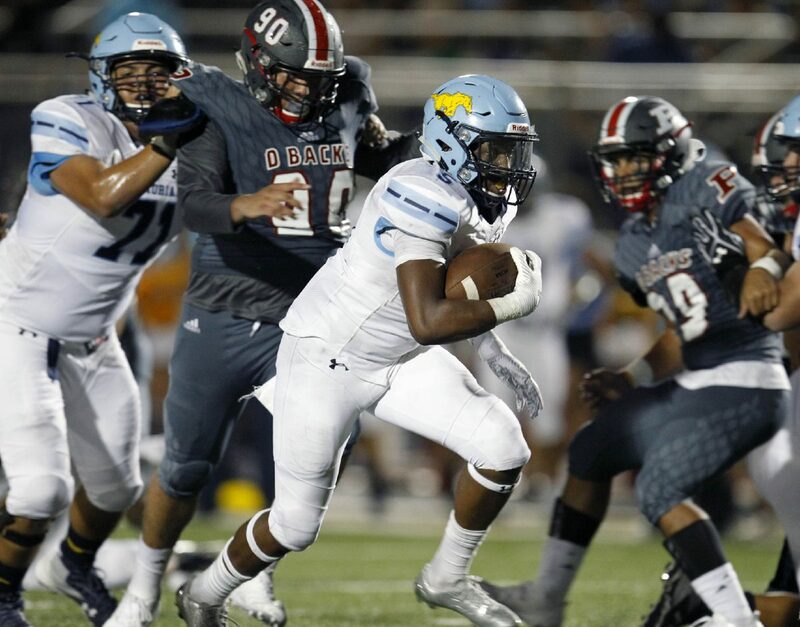 He turned it on late to finish with 19 carries, 133 yards and three touchdown runs. The Mustangs came into their opener at a slight disadvantage. The disruption Hurricane Harvey caused on the Texas coast led the Mustangs to go without a preseason scrimmage. 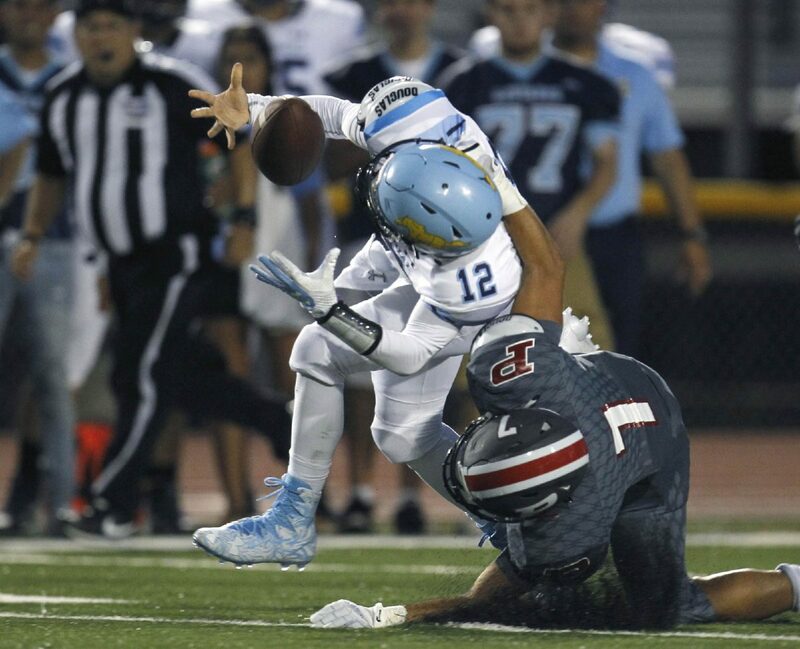 Up 27-17 late in the third quarter, Memorial senior quarterback Angel Almaguer was leading the Mustangs offense at Pioneer’s 20-yard line. Almaguer took a direct snap and ran to his left for a first down to the 8-yard line. 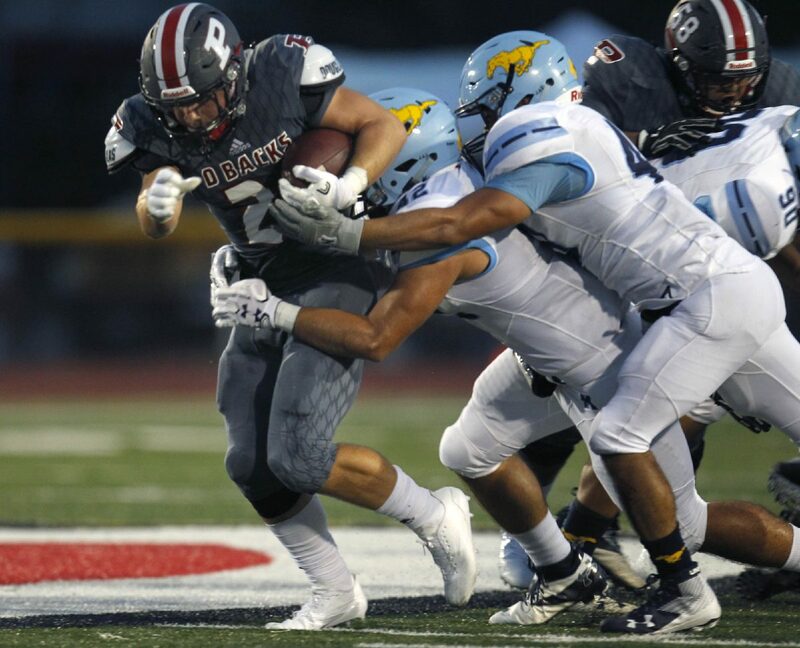 Almaguer’s rushing attempt bumped him up to 80 rushing yards on five carries, but the play ended with him down on the field, grimacing because of a right knee injury. Almaguer had a brace around his knee and was on crutches after the game. 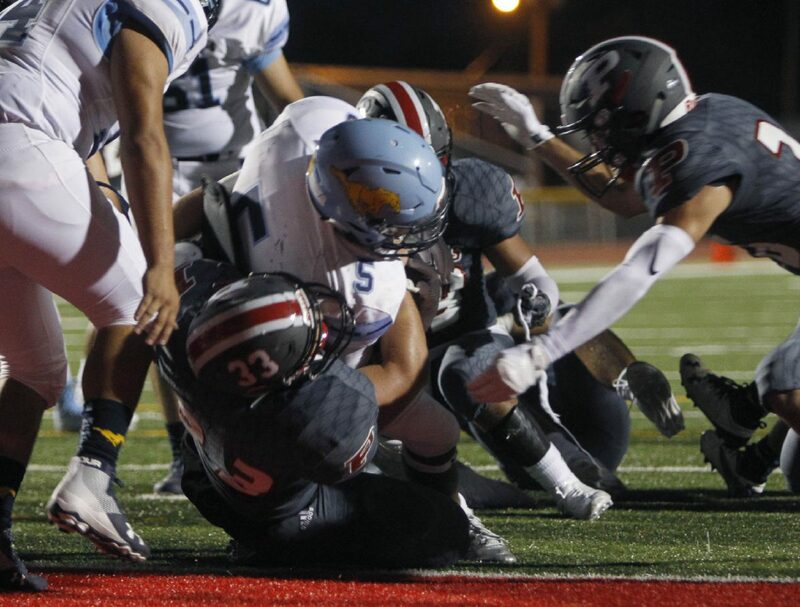 Almaguer’s injury status is yet to be determined. “Angel will go in for an MRI tomorrow morning, and we’ll know more about it then,” Littleton said. Almaguer said he believes he is able to put weight on the leg but has taken the advice of the training staff to not take any risks. Check out the postgame stats and play-by-play from the game here. 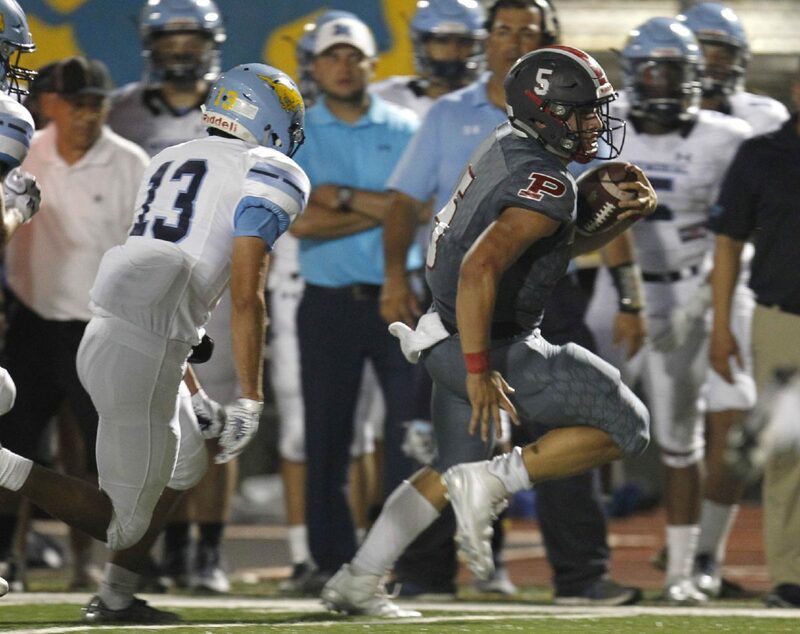 Track all of the Week 1 games on the RGVSports.com live scoreboard. Monitor staff writer Nate Kotisso caught up with Memorial coach Bill Littleton and Pioneer coach Jason Wheeler before the game on The Monitor’s Facebook Live. 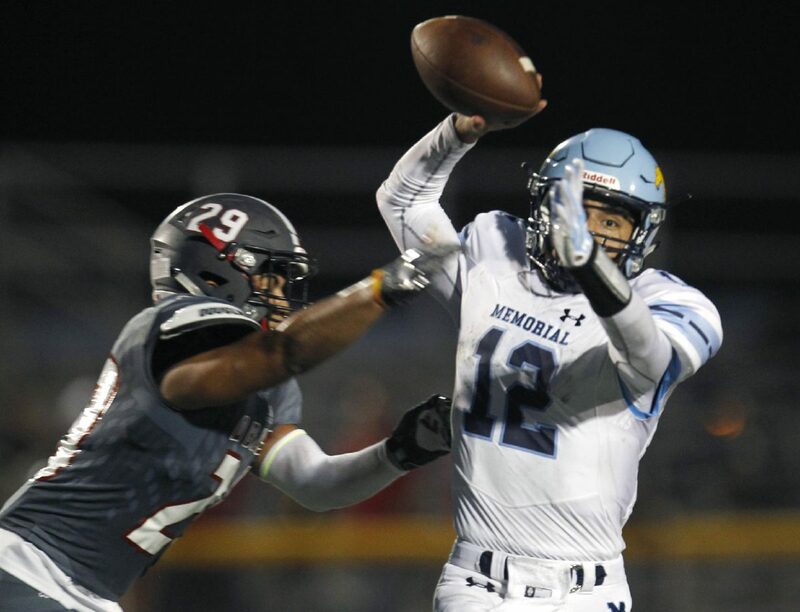 GAME NOTES: Last year, Pioneer stuck with Memorial until the Mustangs’ potent run game was too much to handle. Campbell Speights made his debut as a freshman and ran for three touchdowns. 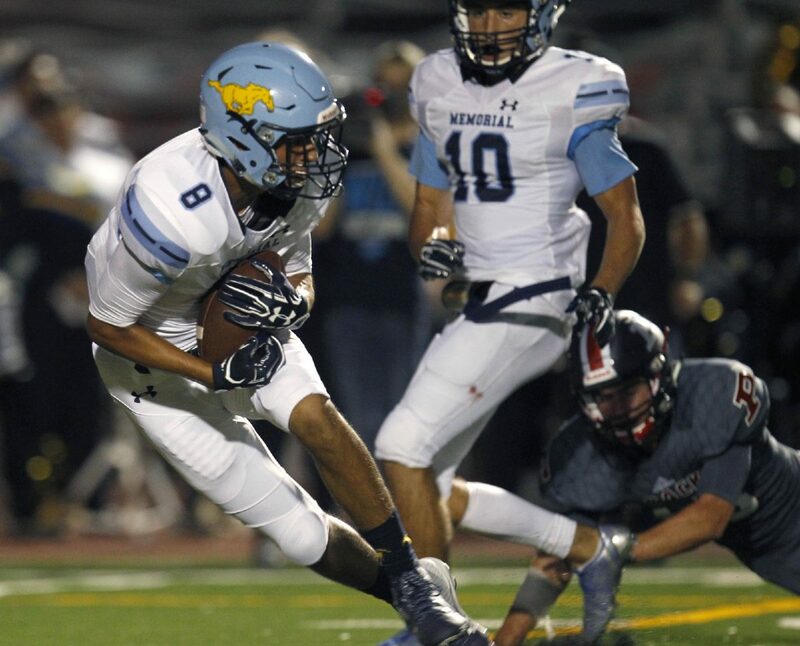 … This season, Speights won’t have his partner in crime, Emilio Mendez, who graduated after picking up 1,099 yards during his senior year. 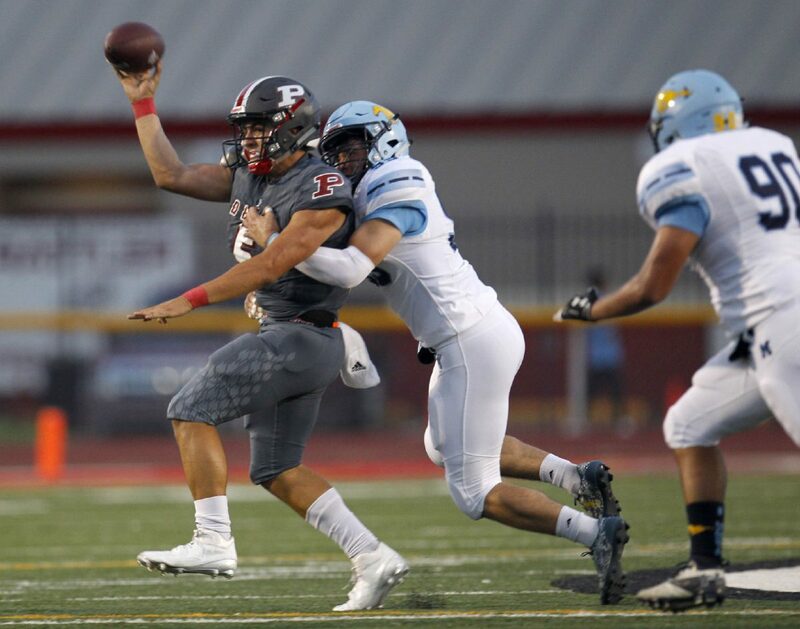 … Pioneer, which won six straight games to qualify for the playoffs last year, feels pretty good about bringing back 25 lettermen, six offensive starters and four defensive starters. 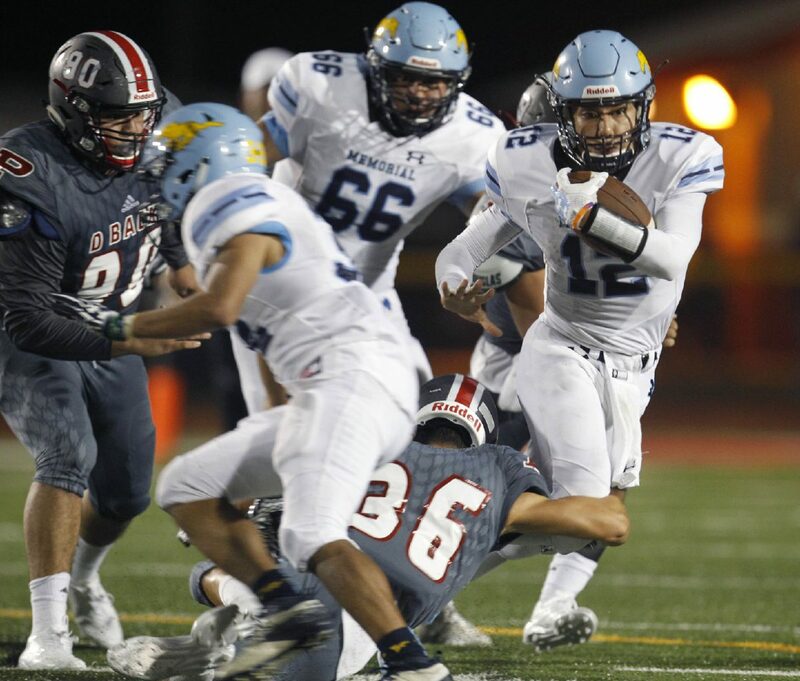 … The Diamondbacks come in as a trendy pick as the Valley’s top 5A program. Their coach, Jason Wheeler, has expressed the want to build a program as prolific as the Mustangs. A signature win over RGVSports.com’s preseason No. 4 Memorial would go a long way to making that happen. 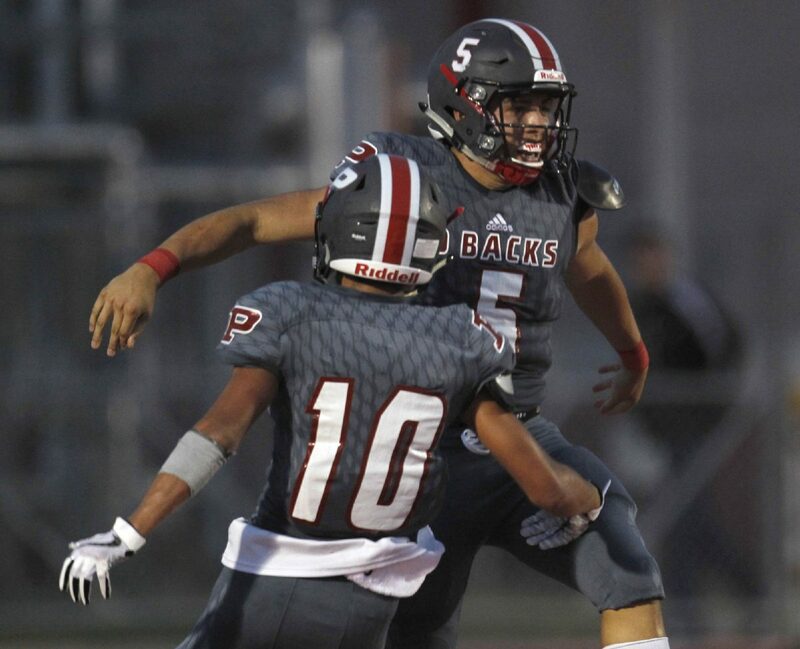 The key to an upset could be at quarterback, with Pioneer’s Jacob Rosales set for a big junior season.